Despite taking home two Golden Globes this year, including one for Best Motion Picture, Bohemian Rhapsody glosses over, rearranges, and outright edits away so much of Queen and Freddie Mercury's history that you wonder why the movie was even made at all. For one thing, Mercury wasn't diagnosed with HIV and, eventually, AIDS, until after the events of the film are over. For another, he never actually quit the band to launch a solo career, a period that the film mischaracterizes as marked by Mercury's apparent selfishness and obsession with fame. 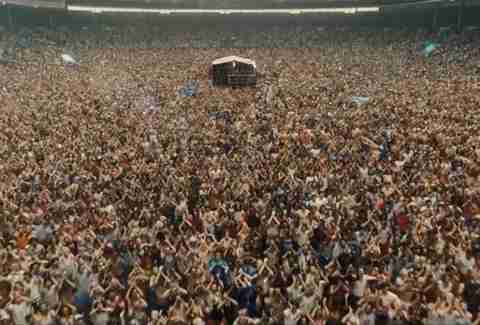 Adding to the weird pointlessness of the whole thing, the final 20 minutes of the movie simply replicate the near entirety of Queen's performance at 1985's Live Aid Concert, a giant music show that played simultaneously across multiple continents, with bands in Britain and America coming together to sing their greatest hits and raise money for people starving in Africa. It's a performance that is available to watch for free on YouTube. The whole thing is a little bit awkward until you realize that it's not going to stop until it gets to the end of the concert, and meanwhile you're sitting through numerous wide "drone footage" of crowds duplicated by CGI to look like something out of The Lord of the Rings. It would be one thing if the scene could have showcased Rami Malek's (Golden Globe-winning!) impression of Mercury's voice, but it doesn't even really do that. So is that Rami Malek's voice in Bohemian Rhapsody? Well, yes and no. Mostly no. It would be too convenient if Rami Malek could not only look like Mercury just by adding a stache and a pair of honkin' big teeth, but also sound exactly like him. It's difficult to overstate the unique vocal talents Mercury possessed, and it would be absurd to think that anyone -- let alone an actor capable of leading a big-budget biopic -- could adequately recreate his singing ability. A widely shared academic study, for example, found that while his legendary four-octave range was probably a myth bolstered by his frequent use of falsetto, the Queen frontman had such vocal control that he created subharmonics more associated with Tuvan throat singing than classical or other Western music. That's before getting into his vibrato; the study found that not only was Mercury able to perform tremolo at a higher speed than most singers, he could also change the rate, making it faster or slower. In other words, that trembling sound on held notes that you hear opera singers pull off manifested in a singular way in Mercury. 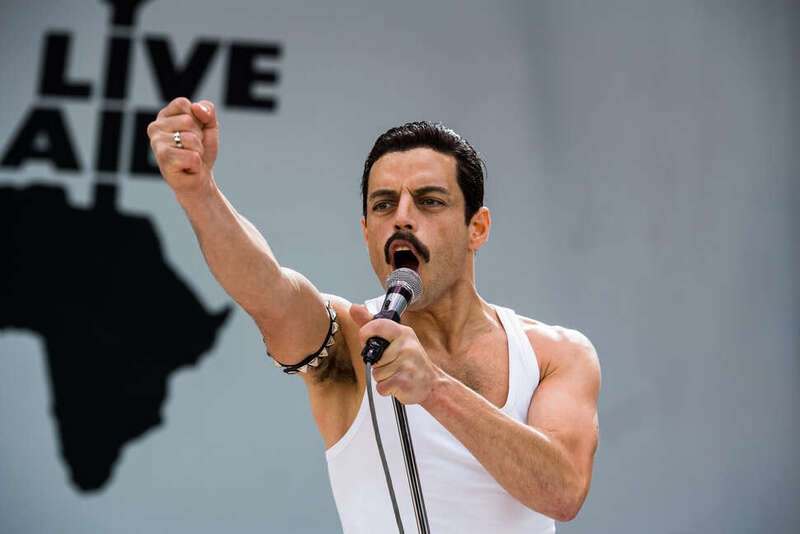 All this to say: Rami Malek never had a shot at recreating Freddie Mercury's voice. How did Bohemian Rhapsody actually recreate Freddie Mercury's voice? The way this imperfect universe works, Malek's physical impression of Mercury is the star. It's so good and so over-the-top that it makes the general badness of the rest of the movie even more jarring. The good news is at least the songs sound great, because they're pretty much recreations of the studio recordings you hear anytime you play a Queen album. According to Rolling Stone, when not taken from the actual album tracks, most of the singing in Bohemian Rhapsody relies on isolated master tracks of Mercury's voice from his studio recordings, mashed together with Canadian Christian rock singer Marc Martel, whose ability to copy Mercury's voice is so uncanny you really just have to hear it for yourself. "It is an amalgamation of a few voices," Malek told Metro when asked outright if it's his voice we're hearing. "But predominantly it is my hope and the hope of everyone that we will hear as much of Freddie as possible. I think that is the goal for all of us." It's a nice way of saying that nowhere in his wildest dreams could Malek hope to recreate the immortal pop star's iconic voice -- so, as it does for the rest of the band's history, the movie settles for an approximation.